A Path To Lunch: Free Wifi Hotspots in Italy 2019 - How to Find Them. Free Wifi Hotspots in Italy 2019 - How to Find Them. Public WiFi Hotspots in Rome, Venice, Cinque Terre, Florence! Now in Post Offices and at Autostrada Service Areas. Dolce Far Niente Virtuale, Rimini. Photo: Luca Vanzelli. Fellow travelers - there are many free wifi hotspots in Italy, and you don't need your passport to log-in! It's true, when visiting most Italian cities, the resourceful traveler does NOT need to pay for data roaming. Despite what you've heard or experienced in the past, there are now numerous public hotspots for internet access all over Italy. Now there's no registration for many hotspots and just a simple registration for many others. The number of access points has exploded. Italian bars, cafes, restaurants, as well as Comuni, Provinces, and Regions are providing free internet access just to make you happy. When we explored Piedmont a few years ago, virtually every town had a free public network. For travel by car, there is now good fast wifi at many service areas on the Autostrade per L'italia. Heck, you don't necessarily have to get out of your car in our experience. For reasons known only to a marketing hack, they may refer to a hotspot as a Hi Point. The latest list of service areas with Wifi (2017) we could find is here Autostrada Service Areas with WiFi. Look for wifi signage, both free-standing and in the windows, at service areas that offer hotspots. A sure way to find a wifi service area on your trip is to use this locator: Autostrada Service Area Locator. To use, enter your autostrada entry point (Partenza) and exit point (Arrivo), check the wifi box and click Cerca (Search). The resulting service area descriptions should all have the wifi symbol. Another very useful network is Free Italia Wifi. This is a national network of free internet access points with a common registration protocol. This means one registration for continued access that works in many Italian cities and regions such as Florence, Siena, Venice, Genova, Pisa, Rome, Piemonte, Sardinia, and Friuli! Register once, use a lot. This protocol requires access points to offer users a minimum of two hours free per day! * They have more than 7,800 hotspots all over Italy so far. 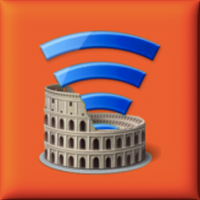 A USER GUIDE in English is here: Free Italia WiFi Guide (EN) Find the hotspots and member networks here: Free Italia Wifi Map of Networks. Website in Italian at Free Italia WiFi. So that we could write from experience about the Free Wifi Italia network, we registered for Free WiFi Genova. It went smoothly. The process is very typical: name, email address, physical address, birth date, and identity verification and you select the user name and password (handsome01 is now taken). The verification is by a credit card authorization or by an SMS to an Italian cell phone. We used a US-based credit card and the transaction was processed quickly. No money is charged to the card, and the number is not stored. Using the Free WiFi Genova login we can now access other networks that also belong to the Free WiFi Italia network – from Florence and Rome to Sardinia and Frosinone. Now the travel dream is complete: the Italian cafe, the Aperol spritz, free wireless access, and your reward is a modern paradox. The ethereal security of an internet connection lets your mind disconnect and relax. Dolce fare niente, virtuale e davvero. Locating. Your mouth is more useful than your feet in finding a hotspot. The signage for free wifi is expanding fast, but randomly. A tourist office can help, or do what we old folks do - ask some young people! Italians are really hospitable, and they'll be glad to help if they can. Information. The hotspots are created faster than information about them is distributed. Websites offering to find wifi hotspots are often more spotty than hot. Despite the disparagement, some decent location finders are in More Info below. Inertia. Some people and systems don't know about the new standards, and/or are using old procedures such as making you show an id to register or not allowing a non-Italian mobile phone. However, most places have caught on, and many are aware they need to update. Implementation. It is also taking time to implement new initiatives. The Liguria Wifi Zone network (Link: An Entire Region of Italy with Free Wifi) had its beginnings about 4 years ago. Like weather forecasts, you may find reports that don't correspond to what you find outside your hotel. Guglielmo Hot Spot Finder This large WiFi provider's finder is usable now that they have a map. It only shows their service, but they're big. New Dawn for Wifi in Italy. 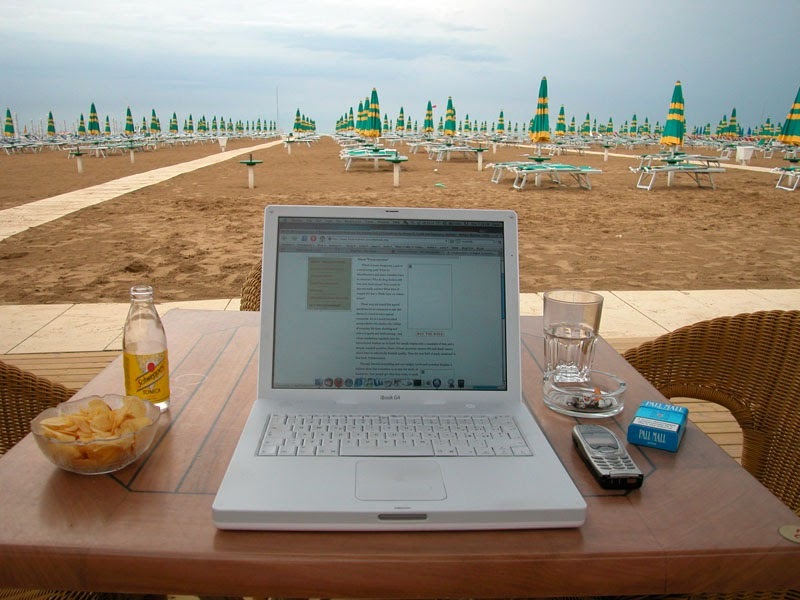 Wifi Access in Italy: How to Get Online: Postcards from Italy. *The usage limit is non-contiguous meaning the two hours can be in separate sessions. Networks can also optionally limit daily access to 300MB.